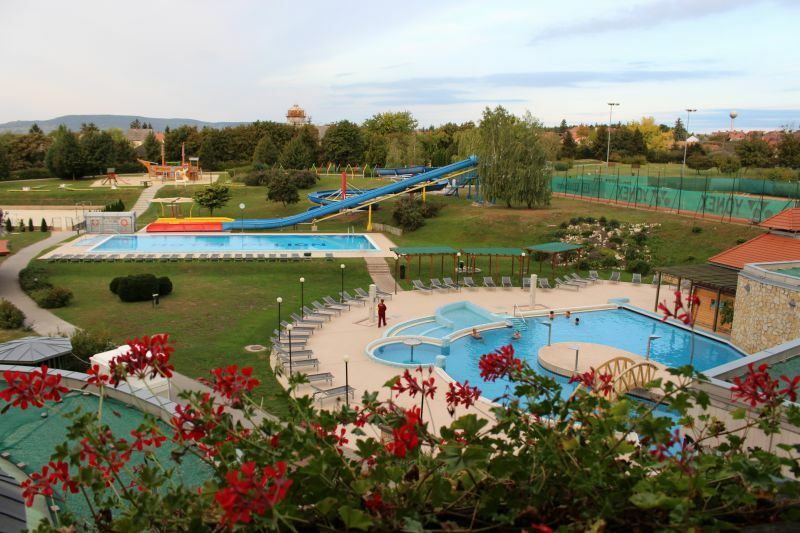 The cost of accommodation in Balaton will vary greatly depending on the season. Like in other resorts, there is a low and high season. High season starts from May 1 when the Labour Day is celebrated and lasts until September. In high season, the prices rise in 2 times. However, they will still be lower than, for example, in neighbouring Austria. The resort Hévíz, where people come to rest in the thermal lake. The charming Tihany Peninsula, which just cannot be skipped. By the way, a ferry runs there. We began our adventures in Balaton with Heviz. And that was a good idea. It is the most visited city in Hungary after Budapest if we talk about thermal relaxation. Over a million tourists come here every year! Of course, this city offers a great variety of hotels and many apartments. Local hotels can receive 10 thousand guests simultaneously. In general, there are three types of accommodation. 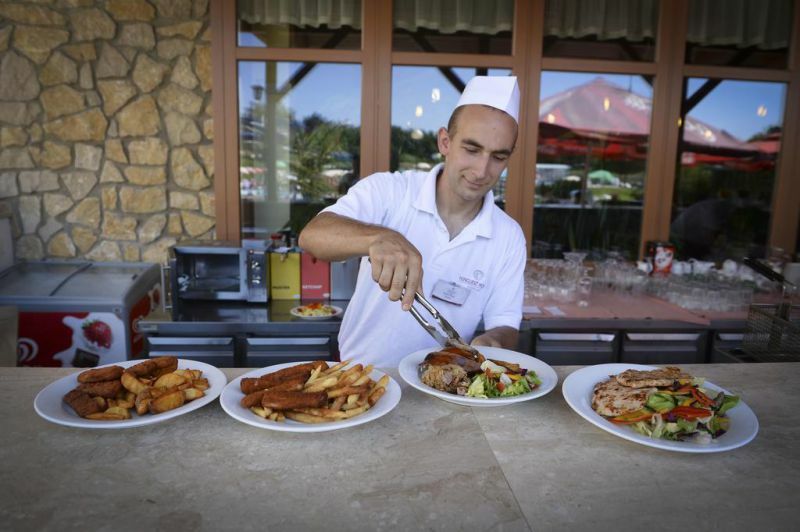 There are 9 hotels in Heviz that help their guests to undergo a rehabilitation course. These are real medical centres with qualified medical personnel, complexes with therapeutic pools, all sorts of physical procedures and mud applications. It was very interesting for us to check exactly the SPA hotels of Heviz. We chose Hotel Helios, which belongs to the Hunguest Hotels. 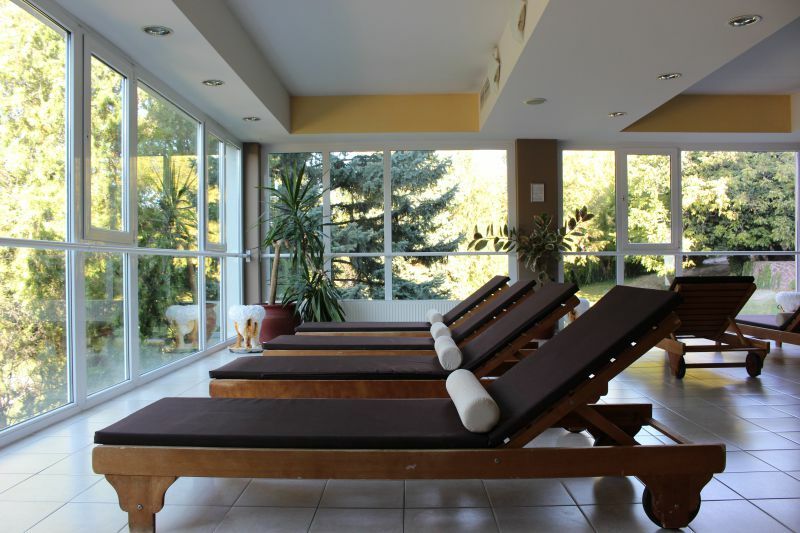 We liked its convenient location: only 5-7 minutes on foot to the thermal lake of Heviz. In the hotel we were told that for every guest who comes to improve their health, the specialists develop an individual treatment plan. At first, you should undergo an examination at home and bring the conclusion here. Or you will be examined by the experts in Heviz. 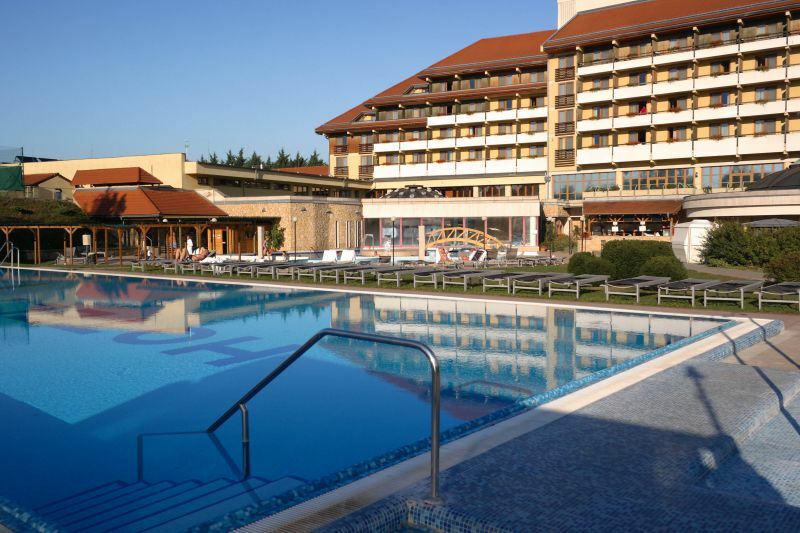 What procedures can be received in the resort hotels of Heviz? In our hotel, we had everything, including special Hévíz baths with additions. In the 50s of the last century, this approach was invented by a local doctor. The method is effective for problems with the spine and the lower back. Moreover, the hotel offers medical massage, water gymnastics, acupuncture and mud therapy. By the way, the mud from Lake Heviz is considered healing. Apart from that, you can find here a whole spectrum of physiotherapeutic procedures: ultrasound, galvanic current, pearl baths, magnetic therapy, inhalation, hydrotherapy and much more. Actually, spa treatment is aimed at helping people suffering from problems with the musculoskeletal system. Fortunately, we did not need anything like that, so we just enjoyed the rest. If required, you can do prevention course and consult with the specialists for the future, so that you didn't need physical procedures for a long time. Our morning started perfectly. We left the room in white robes, took the elevator and here we are enjoying SPA & Wellness procedures in a huge complex for as long as we want. If you get tired, it will take only 5-7 minutes for you to get to the thermal lake. We also liked half board in the form of a buffet with an excellent choice of food. Of course, most Heviz hotels do not provide treatment, but they have swimming pools, jacuzzi, relaxation areas and a variety of food. By the way, if you can't leave your beloved Yorkshire terrier, feel free to take it to Balaton. You will find hotels that are pet-friendly. There are also hotels with their own golf courses and tennis courts. Food. You have the opportunity to choose a vacation with breakfast or half board (breakfast and dinner). Some hotels offer an all-inclusive system. If you are interested in wine tastings, then learn about the area in advance. In hotels, the drinks must be purchased additionally, as they are not served at the buffet. 3-star hotel: from 72 euros per night. For this money, you get a double room, breakfast and dinner. 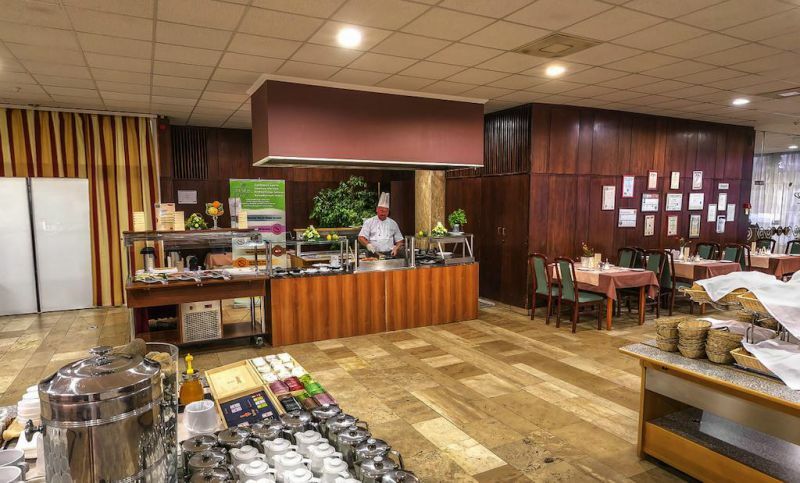 For example, in Hotel Helios, where we stayed, a room in the autumn-winter period is 80 euros for two, including half board and a health complex. The cost of a 4-star SPA hotel is from 90 euros for two per night. 5-star hotel: from 170 euros for two per night. 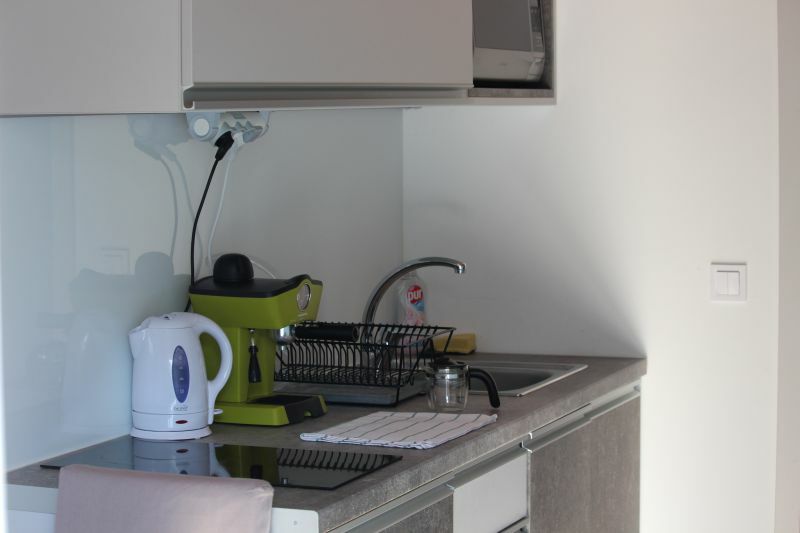 In summer, many families prefer to come to Heviz to relax on Lake Balaton and choose apartments with a kitchen so that they could cook for the whole family. The cost of apartments in Heviz starts from 20-25 euros for two in the low season. In high season, the prices, of course, increase. Depending on the service provided, the price can go up to 100 euros. However, on average, you should expect somewhere between 50-60 euros for two in the high season. That is, from 10-13 euros per person in the low season and from 25-30 euros per person in the high season. Pedestrian street Rakoczi. Here, it is the most convenient place to rent in Heviz because you will be in the very centre of the city. 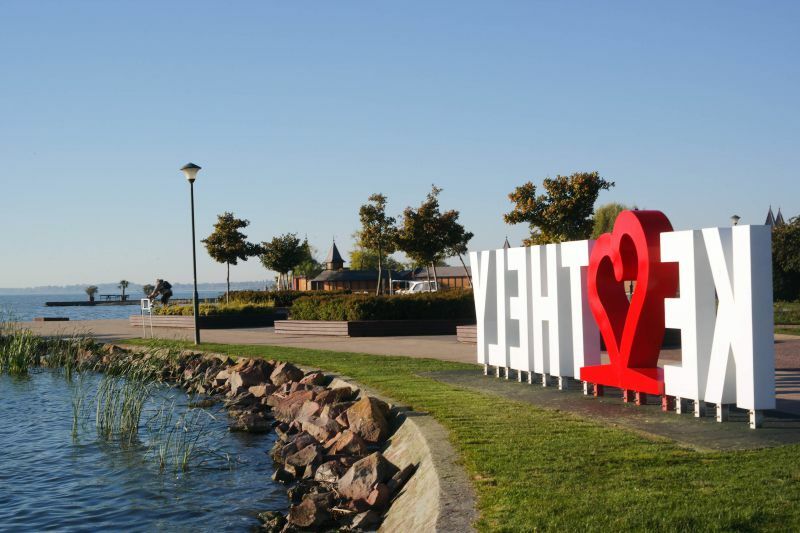 Next to Heviz, right on Lake Balaton, there is a city Keszthely. We did not stop there, but we want to tell you about it since it is a good place to relax in the summer. Besides, there are many exciting museums, which will take at least a week. Just look at the Festetics Palace, for example! Apartments: from 20 euros for two in the low season. Pensions: 30-40 euros in the low season and 60 euros in the high season. 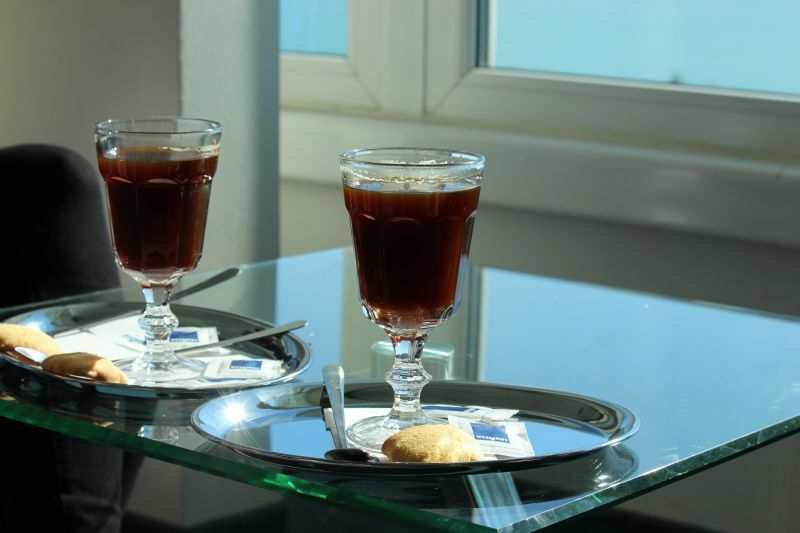 Hotels: 70-80 euros for two per night in the high season (with breakfast). This city has become the second place of our locations. It is not directly on the lake, but we went there to go boating in the lake cave. It turned out that there is a purely unique hotel with a complex that includes a healing cave. It attracted us, and we wanted to go down and see. The cave, which is located directly below the Hunguest Hotel Pelion, is enormous: 360 meters long! It enters into a single system along with the lake cave through which we sailed. 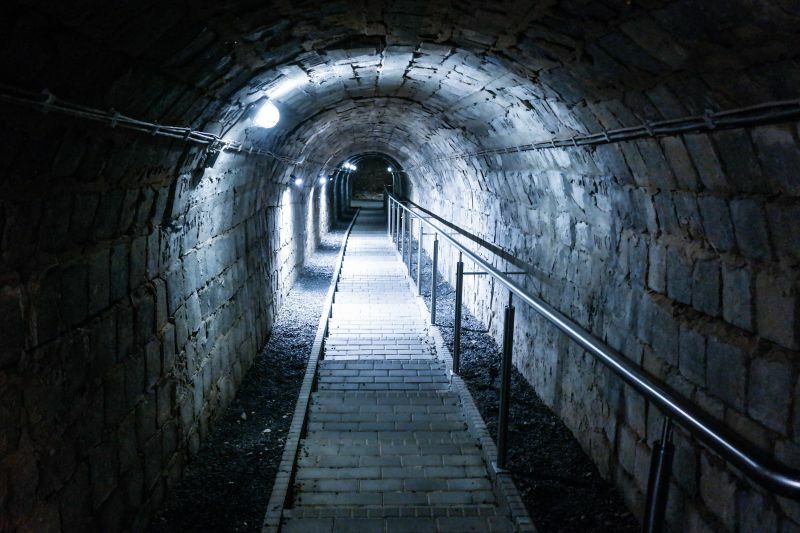 There are nearly no bacteria in the cave air, and it makes life easier for asthmatics and allergy sufferers. It cures the diseases of the respiratory tract and helps the bronchi. 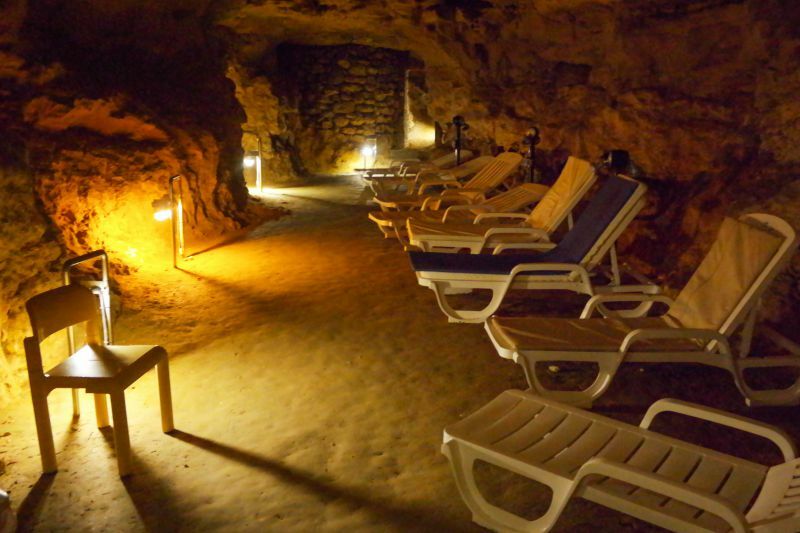 Provident Hungarians arranged the sun loungers in the cave (more than 70 pieces), hung the lamps and set up Wi-Fi. Therefore, you can enjoy your time away (1-3 hours) with your phone or tablet. The four-star Hunguest Hotel Pelion impressed us with its comfortable, clean rooms, and especially, its swimming pools, jacuzzi, hydromassage and saunas. 3-star hotel: from 60 euros for two. 4-star hotel. 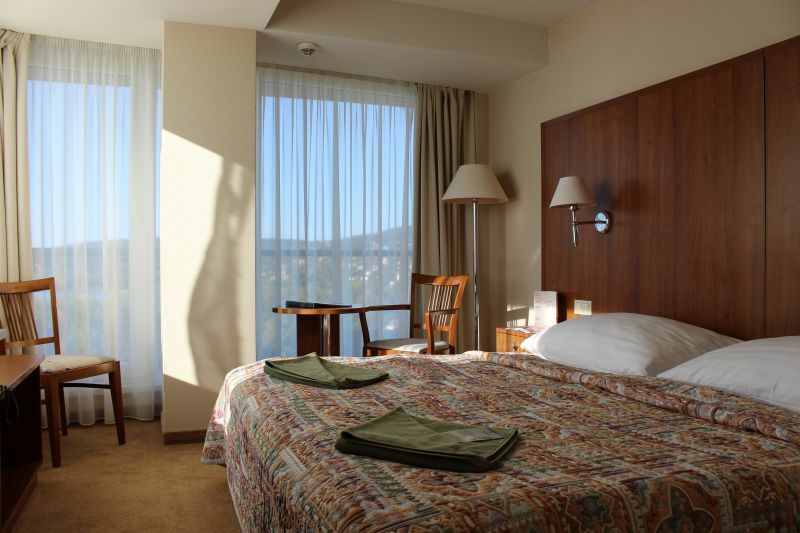 In our 4-star hotel, in the autumn-winter period, you can choose a room for about 100 euros for two (with half board). In the summer – from 200 euros. Apartments: from 20-30 euros for two. However, there are offers, and then a 4-bed room is only 33 euros. In the summer – 30-70 euros for two and 100 euros for four. 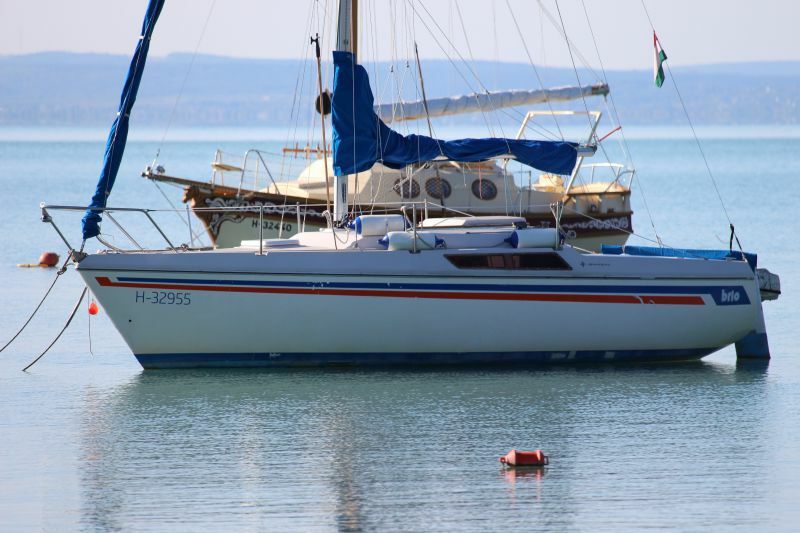 Balatonfüred should become an obligatory point of your holiday in Balaton. It is kind of a capital of the northern coast of Balaton. 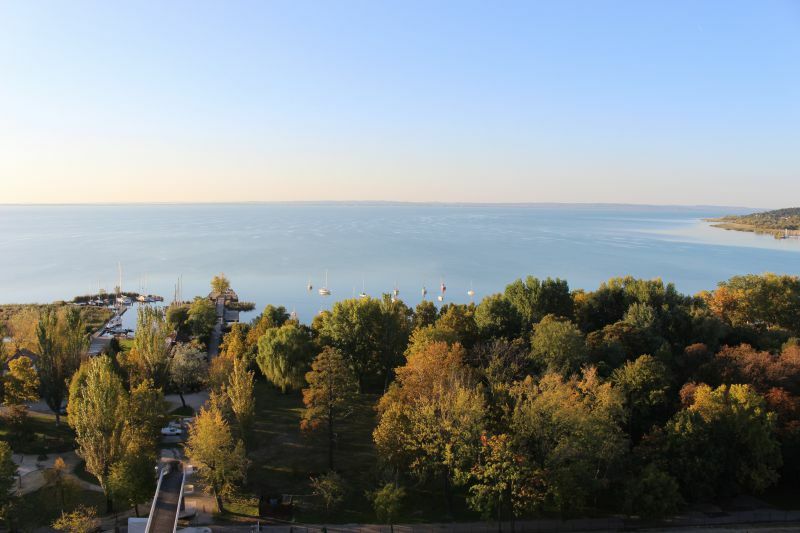 Here, you can admire one of the most beautiful promenades of Balaton. 3-star hotel: from 30-40 euros for two in the low season and 100-120 euros for two in the high season. 4-star hotel: 100-150 euros in the low season and 100-200 euros in the high season. Apartments: 30-40 euros for two in the low season and 50-60 euros for two in the high season. 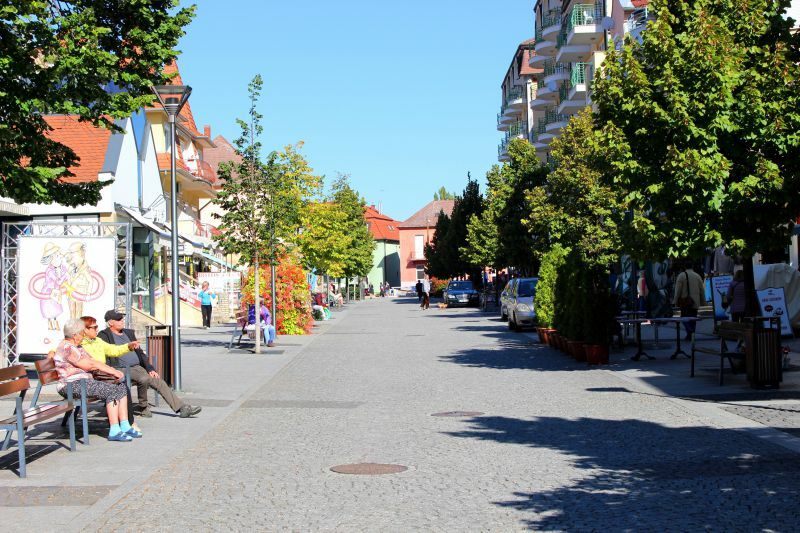 Unfortunately, we did not have the opportunity to stay in Tihany, but we regretted it very much. It is such an enchanting lavender place where you want to stay as long as possible. Yes, it is a small peninsula, and if you wish, you can get here from Balatonfüred. 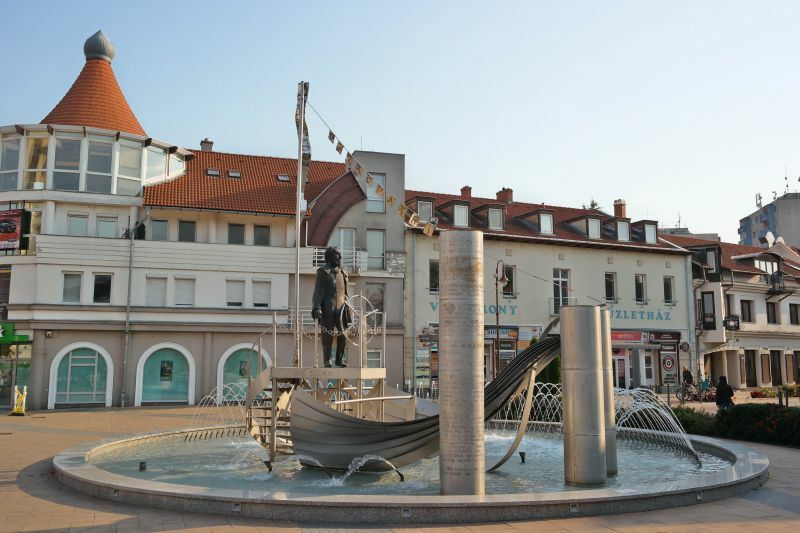 Tihany is one of the most interesting places of Balaton. 3-star hotel: 40-80 euros in the low season and 70-100 euros in summer. 4-star hotel: 60-100 euros in the low season and 100-200 euros in the high season. Apartments: 30-40 euros in the low season and 30-60 euros in summer. 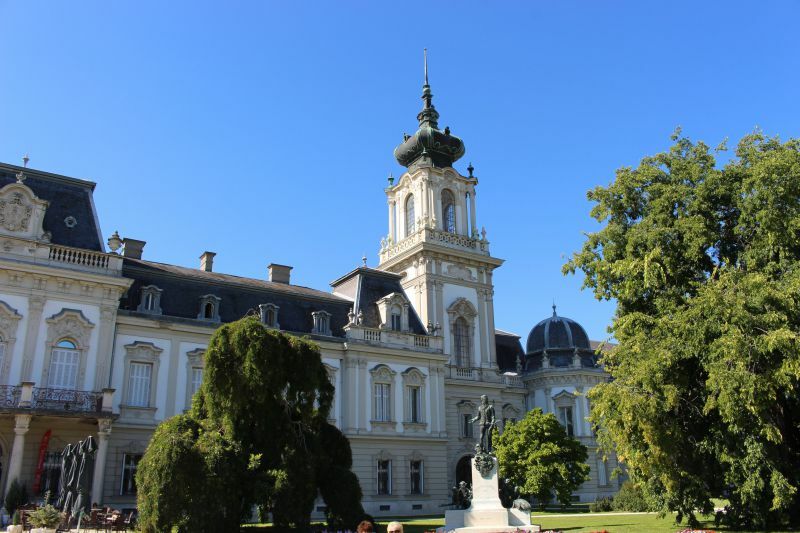 An intermediate link between the north and south of Balaton in our journey was Balatonalmadi. That is a small quiet village with incredible pink sunsets. 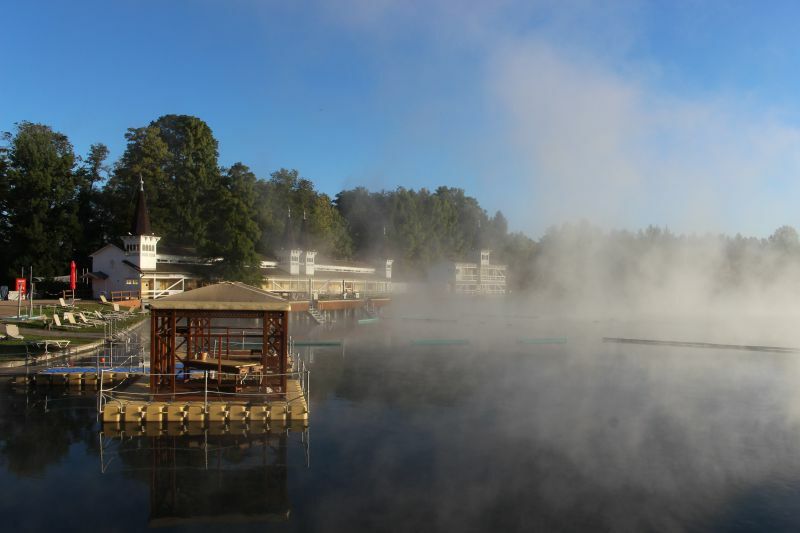 The best place to watch the lake is Hotel Bál Resort. Perhaps, the most impressive views of Balaton are beheld from here. This is the view from the window of the 12th floor. Balaton from a bird's eye view! Meanwhile, in the sky-bar of the upper floor, you can enjoy pink sunsets through the panoramic windows, while taking a cup of coffee with the freshest cake. The SPA Hotel Bál Resort offers a swimming pool, jacuzzi, sauna, massage, and whatever your heart desires! It is interesting to know that Balaton hotels have their own beaches. For example, our hotel had a separate bridge to the beach. By the way, you can contact hotel for the organization of water activities. At the reception, the managers will help you rent a yacht, kayak, boat, and at quite reasonable prices. Moreover, you can also live on a yacht. The rent is somewhere around 50 euros for two. The yacht has the beds and a kitchen. 3-star hotel: 75-100 euros in the high season and 40-80 euros in the low season. 4-star hotel: 190 euros in the high season and 100 euros in the low season. Apartments: 35-50euros in the low season and 30-70 euros in the high season. You cannot go to Balaton without visiting the “Hungarian Miami.” It's the edge of all fun parties and night discos. In this city, we decided to stay in the villa. Look how nice it is! It has everything. On the ground floor, there is an excellent kitchen, where you can cook pies. Next, there is a clean, well-kept bathroom. On the second floor, you will find a spacious bed for two and air conditioning. For this money (13 euros per person), it's just a fairytale! There are a lot of options for accommodation in Siofok. Villas, hotels and pensions stretch along the endless coastline. 3-star hotel: 70-100 euros in the high season and 40-80 euros in winter. 4-star hotel: 80-200 euros in the high season and 50-100 euros in winter. 5-star hotel: 225 euros for two per night in the high season and 140 euros for two per night in the low season. Apartments: 60-70 euros in the high season and 26-50 euros in winter. FYI. In the resort cities of Hungary, there is a tourist tax. It is not much. For example, in Siofok, it is 400 forints per night. There are very few of them in Balaton. It is quite difficult to rent a bed for one. At the same time, there is no actual need for hostels. If you rent a double room, its price is 10-13 euros per person. It is lower than the cost of a hostel in western European neighbouring countries. 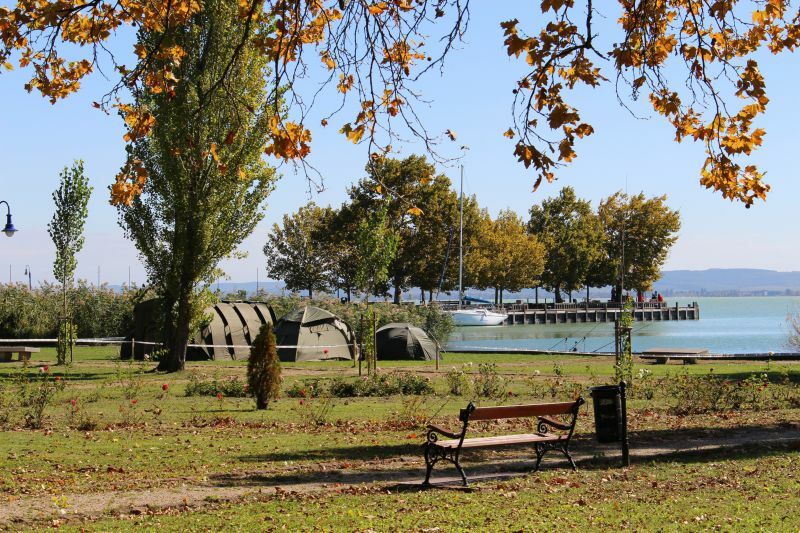 Camping sites are popular because, in this case, you are guaranteed to stay near Balaton's turquoise water. You can either pitch a tent or rent a humble accommodation. It's worth noting that, in camping city, you can find not only restaurants of local cuisine but also vegetarian ones. Naturally, there will be a barbecue, and even a sauna. Camping sites are usually located near the lake. Moreover, you can rent a bike and use Wi-Fi there. Price: 13-17 euros. Now, you are definitely ready to go to Balaton. However, if you decide to go to the lake in summer, think about a cosy hotel or apartment in advance. Balaton is a tourist region, where accommodation is sold out very quickly. 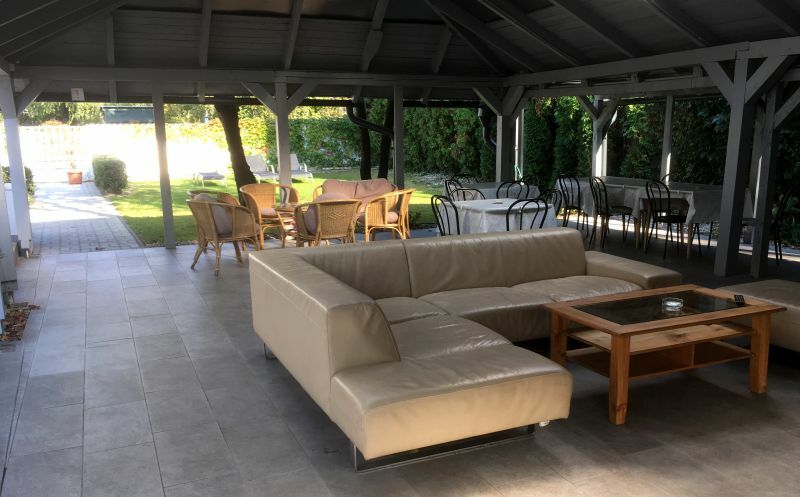 You can select and book a hotel in Balaton here with some really good offers. The author of the photo in the article: IGotoWord Photo Group. How to get to Balaton. 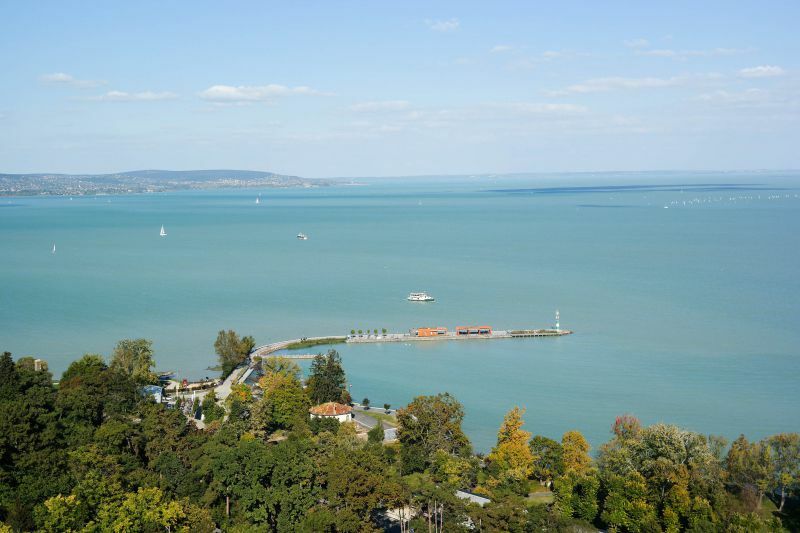 The best promenades and beaches of Balaton.